Please sign into the members only section for Negotiation Updates, Frontline (Legislative Updates), and the Self-Nomination Form. The Florida Education Association and MCEA provide the best and broadest employment legal representation available to their members should they ever need it. This rattles some public officials. That’s why in the last legislative session they revived a failed program to provide liability insurance for educators, earmarking $1.2 million for this in the Florida budget. Supporters of this program have stated that the politicians’ purpose for passing it is an attempt to eliminate your union – particularly since FEA is the only statewide organization fighting the policies that hurt our students and our profession. Politicians think that this unneeded insurance is going to shrink our numbers, but the truth is your union offers far more than just insurance.And, during the five years the program was in effect a decade ago, our membership grew. The program being funded is a failed program, which was in effect from 2001 through 2006 when it was finally repealed. A state study found that during the five years that this program was in effect, Florida spent $5.6 million in premiums to obtain claims payments of only $50,375. Obviously, there was no need for this coverage in the first place. Disguised as a liability insurance program, this shady political move is in reality an attack on our union and our insurance programs. Lawmakers expect this new coat of paint will fool you into accepting a “gift” that nobody wants or needs. However, we know you’ll see through their political games because you know that looks can be deceiving – and in this case, they are. This program was repealed for good reason, and the ulterior motives for why they want to reinstate it are downright insulting: the politicians’ purpose for passing it is an attempt to eliminate your union. The FEA legal programs protect all members in employment-related disputes, employment criminal-related issues and provide access to attorneys for other professional, personal and union matters. They uphold the values and services important to educators like you. Let’s return this unopened present that we never asked for - and return the money to where it belongs, in our public schools. Have you joined the MCEA Tiger Cope (Political Action Committee)? Have you been wondering what the Flex Day at the beginning of next school year is all about? 7. One (1) flex day will be available to teachers each school year. A flex day is defined as a teacher work day immediately preceding the first teacher pre-school work day. Flex days shall be used for planning and classroom preparation. A teacher may elect to work a flex day and then take one of the other teacher workdays off during the school year, including the last post-school day. Teachers must notify principals in advance as much as possible if a flex day will be utilized during any given school year. The two work days that can be exchanged for the Aug Flex are Friday, January 4th and Friday, May 31st. The day may be used in whole, 7.5 hrs or in half, 3.75. To clarify further, the flex day for 2018/19 school year is Friday, August 3. You do not have to use the flex day. You can begin your school year on Monday, August 6. MCEA negotiated this so that elementary teachers who tend to need more time at the beginning of the year to set up classrooms could have it and middle and secondary teachers could use the time at the end of the year when they tended to need it more. If you work the flex day in August, you will need to notify your principal of the workday that you will not come in. There is no time specifically stated for this, but the expectation is that you will be professional and give them the information in a timely fashion. 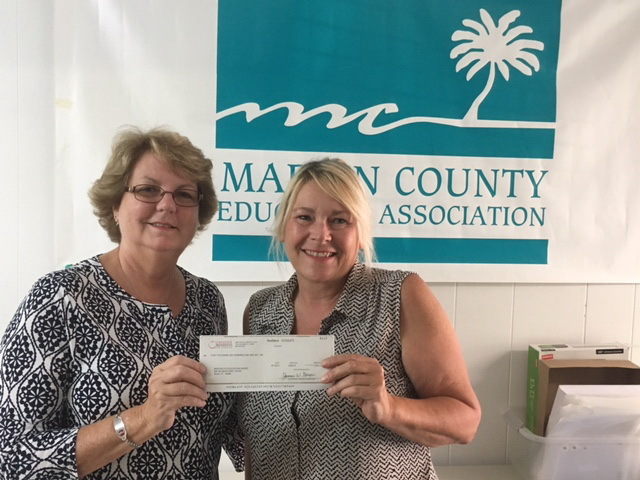 On September 28, Maggie Duke from Creative Benefits presented a check to MCEA. Creative Benefits are valuable partners that support teachers. Please click their link below for Creative Benefits information, as well as information for Liberty Mutual and VALIC. 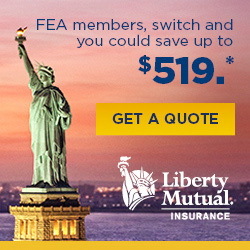 Creative Benefits for Educators partners exclusively with Liberty Mutal to help FEA members save $509 or more on auto insurance. * Call 855-514-6787 or visit Liberty Mutal in the link abouve to get a free quote. * Average annual savings based on countrywide survey of new customers from 8/1/15 to 8/1/16 who reported saving from prior premiums when they switched to Liberty Mutual. Savings comparison does not apply in MA. To ensure proper tracing of policies for MEMBER ONLY benefits, Liberty Mutual has assigned a toll-free number 855-514-6787 exclusively for Creative Benefits for Educators.